This is an introduction to using your new WordPress site. If you’re new to the world of content management, then you are in for a real treat. WordPress allows you to create, manage, edit and update your site with ease. But like everything, it has a learning curve. So I created this guide as a reference for people like you, who are new to WordPress, in an easy to follow, personable way. I try to keep it in plain English so it’s easy for all ages. You’ve installed WordPress and you don’t know what to do from here? Well the first thing is to log into your dashboard! In your browser, type your domain name where wordpress is installed, followed by /wp-admin. You’ll then be asked for a username and password. Either you created these when you installed WordPress or your host providers installed and sent you an email containing your log-in information. Either way, enter those details. *If you don’t remember your login then click the “lost your password?” text-link and enter your email. The Administration page – If you’re using WordPress 3.5 then this should be the page you’re welcomed by. You can access every part of your site from this area – take a good look and familiarise yourself with the layout. The toolbar is in its basic form – a Quick navigation menu. Posts – Creates a new blank post. Media – Takes you to the add media page. Page – Creates a new page. User – Takes you to the add-new user page. Screen options – Click to customise what you’re seeing on the current page. Right Now – Displays the current posts, pages, categories, tags and comments. Recent Comments – Shows the latest comments on your site and allows you to moderate them. Incoming Links – Shows the incoming links found by Google blog search. Plugins – Displays the most popular and newest plugins. Quickpress – Allows you to simply add a post directly from the dashboard. Recent Drafts – Shows your latest draft and has a link to all drafts. WordPress Blog – A feed from the WordPress blog. Other WordPress News – A feed of other WordPress news. Welcome – This is the Welcome to WordPress module that contains some common actions that will get you started with your new website/blog. Screen Layout – Allows you to pick from the amount of columns that are being displayed. If you’ve got a narrow screen then you’d probably want to set this to one column, otherwise leave it as it is. Help – Click to take a look at the built in help module. 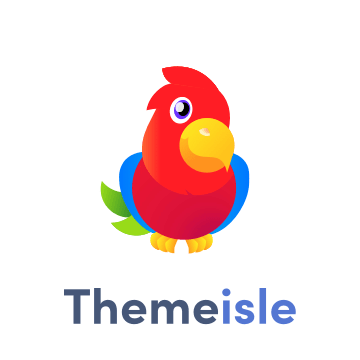 Posts – The most used section of any WordPress site, this is where you add your articles, create the categories and the tags. Media – The place where you can add your media, create galleries, edit your images and more. Pages – Pages are used for fixed content, by this I mean an about page, contact page, possibly a home page. Comments – Allows you to edit, accept and moderate the comments left on your site’s posts. Appearance – Where you add your WordPress themes and control the look and feel of your website. Plugins – Install, remove and search for plugins from the thousands of WordPress plugins. Users – Add and remove users and their site privileges. Tools – Some very basic tools, import and export content. Settings – All other site settings expand from this menu item, the way your URL is displayed, how many posts to display, image sizes, how people comment on your site. The main menu gives you access to every page of your website, from any page in your website. When selected these menu items expand to show even more options. Don’t worry, this might look like a lot but it really isn’t and as you use it you’ll realise how logically it’s all laid out. Modules are present on all pages in different shapes or forms. Basically if it’s not the toolbar or the main menu, it’s a module. On the Dashboard they are used to display feeds, quickly access site information and add new articles. Certain plugins will give additional modules to your pages and dashboard (for example, the Jetpack plugin will add site statistics to your dashboard presented in a graph). All modules can all be turned on and off or repositioned by dragging to a new position, which can be done across the whole site. Every page will allow you to perform these actions and by applying this it will improve your whole user experience, customising each page to your liking and maximizing its usability. All modules will be enabled as the default setting. Let’s start by seeing how we disable these modules. Start by clicking on the screen options button (i), then simply deselecting the boxes on the current page you don’t want to see (this technique can be used on every page inside WordPress). If you want to reposition your modules, click on the head of the modules (the title area of the boxes) and simply drag it to the new position. The process of moving, turning on and off modules, plus other page specific options are accessible throughout your whole site through the Screen Options tab.